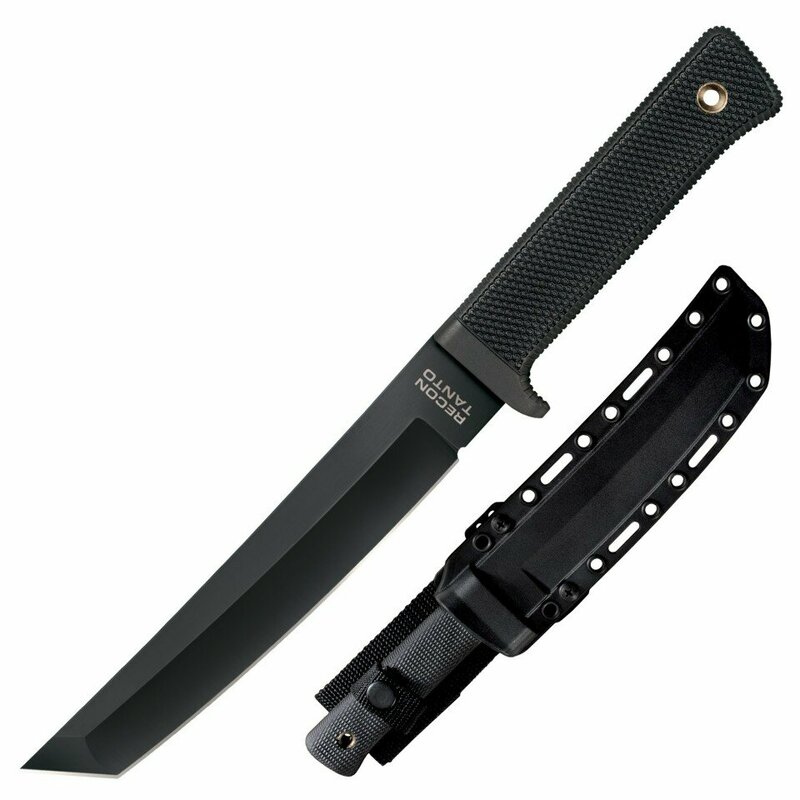 Knife Cold Steel 3V Recon Tanto(13QRTK) High quality Cold Steel knives, throwing knives, tactical knives. Over the last 34 years, Cold Steel has succeeded in establishing the Tanto as a superior blade for combative application. Our pioneering research, development and refinement of this blade shape has proven the value of the “American Tanto” style reinforced point beyond question.Our Recon Tanto continues to redefine the standard for combat knives around the globe. Having seen active military application in numerous conflicts over the last 20 years, it is well on its way to becoming the preferred fixed blade for special military units and even SWAT teams on our own soil. Experience the extraordinary quality of the Japanese VG-1 model, and the new American CPM 3V model - test their distinctive razor sharp edges for yourself and you will see why the Recon Tanto is a knife you can’t afford to be without! I think it's the "perfect knife", the sharpest I have and knowing the hardness of the blade I hope it will remain sharpen for a long time. Very light but strong, perfect to carry and not cumbersome. I'll buy also the Magnum XII version when it will be available.